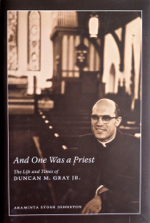 The Life and Times of Duncan M. Gray Jr.
Bishop Gray in Natchez, 2014; St. Peter’s Oxford. The Rt. Rev. Duncan Montgomery Gray Jr., 89, died July 15, 2016 at home in Jackson, Miss. 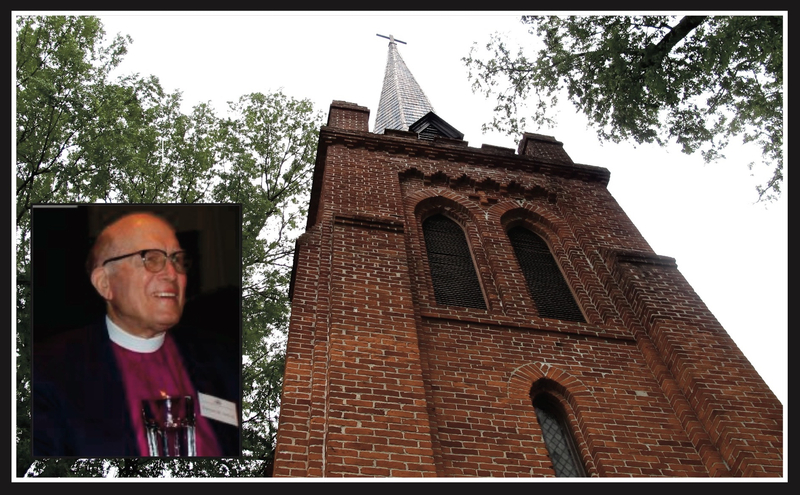 The retired seventh Bishop of the Episcopal Diocese of Mississippi was 89. He was buried in Canton July 19 after a Requiem Eucharist at the Cathedral Parish of St. Andrew in Jackson. “We seek the spiritual North Star. Duncan Montgomery Gray Jr. was not the North Star. But he pointed us toward it. His life was a persistent pointing toward that which would ground us – faith in Jesus Christ. “It would be easy and tempting to reduce his nearly 90 years to one event, significant and important though it was…. The story of his attempt to quell the rioting crowd at Ole Miss on Sept. 30, 1962 is well known. Less well known is the stance he took as president of [University of the South] School of Theology student body in 1953, even in opposition to the University’s administration. “And there was the courageous leadership he provided in the tense days in Meridian, when, synagogues, churches and homes were being bombed and deadly threats were a part of life. But he was not the North Star…. The video below includes excerpts from the Requiem Eucharist in Jackson, the burial service in Canton, and the full homily by the Rev. Canon David H. Johnson. July 18: Arrangements; PDF; text cache. July 19: Requiem Eucharist order of service; PDF. July 19: Text of homily by the Rev. Canon David H. Johnson; text cache. July 15: hottytoddy.com, a New Media Lab LLC company, Oxford, MS; PDF; text cache. July 15: Clarion-Ledger, Jackson, MS; PDF; text cache. July 15: Commercial Appeal, Memphis, TN; PDF; text cache. July 15: Eagle, Oxford, MS; PDF; text cache. July 16: Episcopal News Service obituary by Scott Lenoir; PDF; text cache. July 18: Episcopal News Service personal reflection by Araminta Stone Johnston; PDF; text cache. Reprinted in the August 2016 Mississippi Episcopalian (PDF). July 19: hottytoddy.com, a New Media Lab LLC company, Oxford, MS column by retired editor and publisher Charles Dunagin; PDF; text cache. Bishop Duncan M. Gray Jr. and Araminta Stone Johnston shared a book-signing at Lemuria Books in Jackson, Mississippi on May 10, 2011. In this video, Gray thanks his wife Ruthie for her support of him in his lifetime of advocacy for human rights and justice. that this University, this community, and this state will yet redeem themselves..."